Are you having a hard time with your child's education and IEP? Have you applied for an Empowerment Scholarship Account through the Arizona Department of Education? 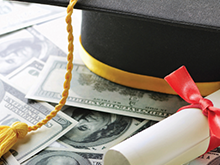 This parent-focused webinar will provide real-life answers to your most pressing questions about what the scholarship can and cannot cover and what rights are lost once the money is accepted. Hear one family's ESA success story and learn options you have if you decide ESAs aren't for you. Log in April 16, 2019 at 1:00 p.m. Arizona Time for the hour-long webinar.